I am fascinated by anthropology and a recent visit to the Natural History Museum in London opened my eyes to time — the most important dimension we never have the full appreciation of, and the scale of it. When we think that our planet Earth is 4.5 billion years old with geological periods lasting millions of years, during which, dinosaurs have ruled the world and became extinct, and the first human beings only appeared one million years ago — putting that time into perspective, the earliest discovered human civilisation around 8000 years ago means we humans are only a microscopic part of a jigsaw that is our universe. Since the first human beings appeared in Africa, they were eternal ramblers, always looking to voyage for great unknowns and finding pastures green. Driven by the carnal desire for a better habitat, abundance of food or simply evading the conflicts of leadership, these early humans dispersed from Africa to Central Asia, Americas then through Bering Strait into Far East. The stories of migration and exploration of our ancestors fascinate us and make us marvel at the phenomenal progress of the human civilisation since time unknown. Yet, standing in the 21st century, where mankind achieved exponentially since those prehistoric times and pushed the boundaries of human capabilities beyond belief, on the humanitarian front it is shameful that we have not extricated ourselves from the vices and superstitions characteristic of those ancient times. The shameful manifestation of anti-migration views in world’s most advanced countries is a stark example, whereby with these malicious feelings, people are denouncing the very existence of their evolution. Rather than wonder and encourage it, migration has become a stigma of our time. Writing about migration is quite contentious as the public opinion seems to be bifurcated — half the population is usually against it and nearly the other half does not know much about it — only leaving a small fraction of people, who actually understand the situation and care about crises. The definition of migration is the first stumbling block. There are so many different words used in the media — migrant, immigrant, refugee, émigré. Without trying to open Oxford dictionary, the broad definition of immigrant denotes a generic term referring anyone living in a foreign country; it does not depend on the reason. On the other hand, popular connotations of an émigré exude a sense of superiority, belonging to the upper echelon of the social tiers of a country, but in real terms they are opposite of immigrants, citizens of a country emigrated abroad mainly for career prospects. The remainder two — migrants and refugees, are the most widely used terms in the context of migration. They both refer to the people leaving a country or region, mainly the places where they were born, in order to live in another country. Although both of these terms can be classified by the noun Migration, the fundamental differences between these two terms have been largely overlooked or purposefully misused by the world media. Whilst migrants are affected by the present situation of their country, the catalyst to move to another country or another part of the world is mainly economical, driven by their ambitions to achieve something for themselves or provide a better future for their future generations. Refugees, on the contrary, are forced to abandon their habitat and move to another country for a safe haven, that their country cannot provide. Migrants are driven by an aspirational issue, whilst refugee or asylum seeking is existential — the survival depends on escaping the habitat — be it from genocide, autocracy, religion, famine, endemic or militias. The burning example of the purposed or erratic misuse of terms referring migration is the context of the Syrian crisis, where the refugees are often referred as migrants. The bias of right wing press is obvious, but the liberal media often followed the bandwagon quoting the millions of homeless victims of religious crossfire between the Assad regime and ISIL as migrants, not refugees. Migration and asylum is an issue very close to my heart as my entire life has circled around listening to stories of migration — forced and consensual, or witness the post-migration impacts on refugees’ lives. Both my parents were born in the Indian provinces in post-partition East Pakistan, to be later called Bangladesh. Threatened by the religious genocide between 1947 and 1971, like millions of other Hindu families, my parents fled their troubled homes to India, then struggled all their life to make lives of our generation better. Thus, the stories of their struggle and sufferings made one detest the factors that incited the migration, but on the other hand kindled hope and optimism, provided us a raison d’être to give a meaning to their fight. My parents risked their lives to flee a region becoming exponentially volatile for the sake of their lives and subsequently sacrificed rest of their lives — trying to make our lives free of such trauma, once they found a safe livelihood in India. HOME became a sacred word; my father always wanted to have a house of his own that he could say is home — a sense of belonging to a piece of earth, a dream that has eluded him all his life, and now that I have migrated to the UK pursuing my aspirations, he always asks me to have a home of my own. Like him, I have uprooted myself from the place where I was born, leaving behind everything and everyone known. However, I am a migrant, whilst my father was a refugee, and our account of moving from our country is completely different — I can reminisce the past days through rose-tinted glasses, but for my father, it probably was a time he rather forgot or wished never happened to him. This essay is therefore like a lens, looking through my entire life and building up the hypotheses based on anecdotes, information and experiences gathered along the journey so far. From time immemorial human migration has been taking place, as our ancestors continuously strived for better living conditions. The modern civilisation in its current form would not exist, had the primordial men and women not migrated. However, limiting our focus only on twentieth century would show what factors instigated migrations and socio-political unbalance. The biggest contributor to the social unrest are two — politics and religion. In most cases these two factors are intertwined, perhaps politics of religion could aptly include the two causes. Regardless of the semantics, politics and religion, the invasive nature of both these factors are incited by wealth. Looking at the single biggest incident that destabilised the entire world — from Middle-East to Americas and Far-East, is Communism. But at the heart of the Communism debate and the Cold War lies the capitalist world’s fear of mass movement of the oppressed to demand their share of the profit. It is Wealth what incited the Cold War and the resultant arms race, that contributed the complete destabilisation of the political system in the Middle-East, the home of the biggest refugee crisis in recent times or the breeding ground for the cause of it — religious fanaticism — through obliteration of any working liberal governance in the region. On the other hand, fall of Soviet Union saw collapse of entire Eastern Bloc countries especially the complete dissolution of the Yugoslavia, creating religious factions all trying to have a land they can claim their own. The other biggest component is of course Colonialism — its spectre plagued the entire world. Like politics and religion, colonialism is also fuelled by wealth, perhaps with a more overt correlation. Starting with the Spanish and Portuguese, the hunger for power and wealth soon spread to the rest of the Western Europe during the middle ages. In the modern post-Renaissance era, the worst perpetrators are still the British, but not far behind will be the French, Dutch, Flemish/Belgians, Germans. Whilst many scholars recently argue about the benefits of colonialism to the developing countries, it is without doubt that any such supposed benefits came at a much heftier cost the countries didn’t deserve or choose to pay. There has been mass exodus during these colonial regimes with people trying to flee the atrocities and famines. After WWII, with the cost of running the colonies skyrocketing, the resources thoroughly exploited and depleted and finally the ghost of two great wars haunting the developed world, the rulers left the colonies in ruins having plundered all the resources over hundreds of years. The colonised countries, with the skeleton of infrastructure from their exploited past, became breeding grounds for class division, corruption, nepotism and racial/religious fission. Africa was one of the worst hit continents picking up pieces together to form countries, but managed to be embroiled in bloody tribal wars that has possibly seen the most number of mass migration. Famine, endemics followed suite as a result of unsustainable exploitation of natural and human resources. The Middle-East, already waged into turbulent sectarian conflicts amongst member states were further destabilised by formation of Israel, and the west’s pledge to sponsor its atrocities later on. On the other hand, the sub-continent was scarred forever with religious conflicts. The wave of religious hatred even engulfed the far reaches of Myanmar, where the Bangladeshi Rohingya tribes are forced to migrate to as far as Malaysia to avoid the violence. The Divide and Rule ploy not only split countries, neighbourhoods and families into pieces, but also fuelled the conflict amongst them, in order to profit from the arms deals. It is the biggest mockery of our times that the G8 countries are purported as harbingers of world peace, yet all of them are the biggest arms dealers in the world, responsible for most of the armed conflicts in one way or another! These are some of the underlying factors that coerce people to move out of their homeland, abandoning their habitat and familiar surroundings for hundreds and thousands of years. Looking at the other side of the spectrum on the refugee crises — regarding the rehabilitation and integration of refugees in the countries they seek shelter in — the situation is much worse. Although not for the reasons we see in today’s world, human migration is an undeniable and unavoidable phenomenon — it will never stop, as the end of it will mean people stopped dreaming and aspiring. It will mean that we have become a defeated race on earth and a superior species will rise to throw us down the precipice of anthropological oblivion. Hence, considering human migration is an unequivocal fact, it would be a completely different story, if people at different corners of the world wanted/was forced to move at another region and their exodus did not encounter any resistance. Looking at the legendary settlers, they moved to barren lands and built civilisations. The nomadic nature of our ancestors is completely undermined in the present society, more so in the so called developed world than the other parts. In an ideal situation, these people need not flee their habitat, but if that can’t be prevented, the next best scenario would be that they all found a safe refuge, and if the countries in the developed world can boast about their social infrastructure, they should be the forerunners in providing shelters for these refugees. Instead, the refugee crises across the world paints picture completely in contrast with what should have happened. The biggest instigators of the migration crises are the ones who are most vociferous against immigration on their land. The hypocrisy of the US, UK and Saudi Arabia in mitigating the Syrian refugee crises are at best shocking, at worst abhorrent. Considering US is not directly affected by the Syrian migration as is Europe, and their pledge to receive some of the Syrian refugees is commendable, the US foreign policy in the Middle East especially backing Israel in the Palestine conflict has long destabilised the balance of the region. UK, the sidekick in the US affairs, has become a myopic xenophobic state under the Tory regime, but the roots go much deeper. Against what is commonly purported as quintessential British values, the public psyche has done a complete volte-face and suddenly became nationalist, utterly intolerant and devoid of any compassion or empathy. The Syrian migration crisis was a perfect platform for the government to prove that it there is still a voice of reason within the party whip, but the decision to take a paltry 20,000 refugees over five years simply quashed that expectation. When millions of Syrian refugees fled the country — being caught on the crossfire between autocratic Assad regime and the ISIL terrorists, the gulf nations played silent bystanders sitting on their petro-dollars. On the other hand, rather than taking refugees or at least sending aides, the astounding decision by Saudi Arabia to build mosques in Germany defeats all reasons. Australia, on the other hand puts any asylum seekers or refugees to other oceanic countries to make them receive financial aid from Australia. With an enormous, albeit not entirely habitable landmass, passing the responsibility to another country is equally brazen. What the refugees are facing, especially trying to move to a country in the developed world e.g. Europe, US, Australia etc, is extremely inhuman. Their fate is met with the cold calculating political impasse by the countries they seek refuge in or use as an entrepôt en route their final destination. These governments believe in the economy of war, and the politics of fear. Keeping people misinformed and fearful of the refugee situation would then justify armed action, thriving the economy of war. This is why, accepting 20,000 refugees took Britain to think about it for a week, whilst the decision will probably be taken in unison about sending troops in Syria, which will cost millions of taxpayer money. Helping the refugees settle could have made lives of thousands more refugees waiting to be accepted more bearable after the horrific spell they have been through. During the temporary phase of public outcry to support Syrian refugees, there was one banner that became much circulated — you don’t put your children in water if the land was safer. The desperate situation these people are put into, caught in a complicated web of power, politics, religion and wealth; yet, other than countries like Germany and Sweden, with reference to Syrian crisis, what the other developed nations are doing can be termed as tumbleweed. However, there is a more sinister twist in the situation that will need unveiling more urgently. Governments, and on much wider terms, all mainstream political parties, are the mirrors to the public psyche, and they hardly take a stance for the greater good, when the majority of the population is either unaware or misinformed about the actual situation and are against the policy. Looking at the reluctance of the governments to provide help to the refugees, it is merely a replication of the unwillingness or even the antipathy of the public against the migrants. The rising levels of nationalist and anti-immigrant sentiment is not only witnessed in my present residence in the UK, but it is observed everywhere else, where there is a migrant influx in the country. In the UK, it has become a very clichéd practice now, to blame the eastern European migrants as root cause for all problems. Treatment of Syrian refugees in Eastern European countries in recent times was absolutely diabolical. How the men were separated from women and children is a stark reminder of the biggest genocide against migrants in Europe since WWII — Srebrenica — a lesson in history that was pledged never to be repeated. In India, there is a growing voice against people fleeing communalism and religious persecution from neighbouring Bangladesh. Even within the country itself, migrant workers from other states are often targeted by the right-wing local hooligan parties. A common trend emerges from all these snapshots from a wide geographical span — that it is the common working class people, the majority of the population, who are against the refugees migrating to their country. This makes one wonder, why are so many hard working people, who are often characterised by the brother’s keeper mindset, antagonise their counterparts from another part of the country? The answer lies in the panic-mongering of the political parties and migrants often prove to be the perfect red herring, a scapegoat to divert people’s attention from real issues. In very few societies across the world would one find working class keeping abreast of the current affairs and form their opinion on those issues. In absence of an alternative voice of reason, the capitalist led media diabolically steered the attention to all the crises their economies faced, to migrants. Housing, education, employment, economy — migrants are portrayed as bloodsuckers on all facets, purportedly depriving the citizens of the benefits. This antagonism is served with a twist of past glory — jingoistic nationalism, where everything was hunky dory when the countries/regions were made of indigenous people of same colour, language and religion. With a barrage of such twisted media representation, the working class begins to think that their predicament is somehow attributable to the migrants, not the actual perpetrators in their high citadels. These reportings are bolstered by statistics to make them appear more authentic, whereas the figures are at best misrepresentative at worst fraudulent. Duped by these statistical figures, the general public saw the data in front of their eyes, and in absence of critically analysing the information or the lack of time for it, a different and alternative image of the refugees starts to build in the eyes of the working class of the country. Refugees are demonised to let the political parties and their cronies in the high echelon of the society continue to carry out more sinister plots to rob the poor. There are more to blame than just the media and the politicians. The working class people in any country tend to show tendency of prejudices — be it racial, sexual, cultural or lingual. It is the prejudice of the common people of a country — people the refugees are most likely to interact with — that makes the integration of the immigrants into the society much difficult. And here, the difference between an migrant and a refugee becomes starkly visible. Migrants often possess skills to offer to the host country, and with an income source, although social ostracism couldn’t be avoided, they can ignore it and lead a normal life. On the other hand, refugees — although depending on the crisis they can be from any class in the society — consist of mainly the working class to unskilled class of the population. They are expected to re-educate, retrain and all at the same time whilst they try to resettle in a completely alien land and culture. Remembering tales heard from my dad, to the story of a Hungarian cleaner in London or story of the first Romanian arriving in Britain or the harrowing mistreatment a of the Syrian refugees in Eastern Europe — they all spell the same story of mistrust, vilification and discrimination of the migrant/refugees by the common people in the host country. Apart from being discriminated for being different from the country’s indigenous population, there is also a pressure on the refugees to become like one of the model citizens of the adoptive country — prove their allegiance to the host country at every instant. This is why a Muslim is expected in western world to constantly denounce and castigate any acts of Muslim extremism, whereas no one no one heard a similar plea from every Christian during the Anders Breivik massacre. Likewise, all migrants are expected to don a poppy on Remembrance Day, a Bangladeshi refugee in India is expected to say jal instead of paani for water, a Romanian migrant has to declare to the camera that he is there to work and not to live on benefits. Also there is another dimension in this conundrum regarding the refugee crisis, which is the racial bias of people — direct or subconscious. The sad and cruel demise of little Aylan Kurdi can never be included for a political justification, but the arrival of Syrian refugees in the doorstep of Europe posed another challenge for the local authorities. In one side there was religion, where communities that are not coherent with people from different religion and cultural background. On the other side there is a preference for race. This is why Syrian refugees have received a much warmer welcome than the ones still waiting in Calais. One would not fail to notice that despite the threat of extremism, Syrians lack a stereotype image, as opposed to the black African migrants from war torn east Africa. The fact, that the refugees in Calais have been waiting for asylum much longer in inhabitable living conditions, has been completely overlooked by the populist media and politicians alike, due to stereotyping and character profiling of African immigrants. A similar approach was observed during the last Indian general election when the would be prime minister Modi proclaimed that the Hindus in neighbouring Bangladesh are more than welcome to rehabilitate in India if they faced communal violence, but the Muslims won’t be allowed in, despite India being a republic. Even in Europe, the discrimination against Roma tribes are well observed and the lack of media/social uproar exemplifies that the media only broadcasts sensationalist news. The undercurrent of racism against migrants became blatantly obvious during shameful veto in EU by the Eastern European countries, during the discussion of the quota of refugees each member state will need to take. Statements coming from Slovak prime minister that they (Muslims) won’t be welcome in Slovakia because there are no mosques or the Hungarian right wing photographer kicking and trying to trip a Syrian refugee, to Daily Mail likening the refugees to rats as did the Nazi campaigns in 1939, to David Cameron referring refugees to swarms — the hostility of the recipient nations became clear either through action or the choice of words in the context. There is a counter-argument by various countries against immigration. Why would a country accept refugees? A country has limited resource, living space and social infrastructure that cannot be widely altered within a short time span. Based on the resource constraints, a country cannot take more refugees beyond a sustainable number. However, this needs to be measured as a direct difference between the people arriving in the country and the citizens emigrating — not the net value of the immigration. “We are full, there is no more space” may be a compelling argument for the UK for the limited habitable landmass, but certainly not for the US or mainland Europe or the subcontinent. But answering why a country should provide refuge to the immigrants, the focus cannot be the based on just geography and economy. The first question to be asked is whether any recipient country is directly or indirectly responsible for causing or aggravating the situation. If the answer is yes then it becomes a direct responsibility of that country to help out the refugees sacrificing their entire life. For example it becomes a direct responsibility of the US to support the Palestine refugees caused by Israel, empowered by a divisive US foreign policy. Or in case of Syria, although Turkey is involved indirectly, they are also the home for the biggest refugees with the numbers surpassing 1.5 million. However, beyond such examples, all countries should reach out for helping the refugees on humanitarian grounds alone. Without being directly involved, Germany will accept close to a million refugees being a responsible member of the EU to stop innocent people die. Sweden’s pledge to receive hundreds of thousands of Syrian refugees also demonstrates that despite the dismal turn of events the refugees went through, thanks to countries like Germany, Sweden, Turkey or Jordan, a large number of displaced immigrants have found rehabilitation and a new beginning to regain the rhythm of life back. On the contrary, the gross ignorance of the governments of UK and Eastern Europe as well as the mistreatments by the authorities in Greece and Hungary paints a dire picture, where countries either not taking up the responsibility or totally indifferent to the trauma and persecutions faced by these refugees. However, as mentioned above, there are silver linings in this dreary situation, by looking at the positive message portrayed by actions of various countries. Apart from Germany and Scandinavia, whilst the government reaction was otherwise abysmal, general public welcomed the Syrian refugees with a lot more generosity. Despite a large part of the population in every country being sceptical about migrants, a considerably large part of the population in every country in Western Europe welcomed the refugees with open arms, and went to great lengths to help them. Starting from a welcome message of solidarity across football stadiums to people sending essential necessity goods to the refugees in their van driving thousand kilometres — the extent of help received was spellbinding. Apart from general public, the charities and non-profit organisations have been tirelessly working to provide the basic necessities such as water, tents, warm clothes, medicines. In the UK, wherever the right wing groups attempted to convene a rally opposing the intake of refugees, their malicious voices were doused by considerably large contingents of the liberal members of the society, the #refugeeswelcome movement filled in the entire Trafalgar square with equal spontaneity as it did in the social media. Whilst the western Europe is still ignorant on other refugees waiting for months, even years, in the camps in Calais, the aids extended to the Syrian refugees will certainly provide more impetus on other countries around the world. Despite being in a much weaker economic situation, a parallel could be observed in the subcontinent during past few decades, where the Bengali society in the Indian part of Bengal has long been supporting all the refugees coming from eastern part presently known as Bangladesh. As I witnessed throughout my life, despite the cultural dissimilarities, the members of the society created a space common to all, making everyone equally welcome. So, what will happen to the millions of refugees, uprooting themselves from the land of their origin, setting off to a far flung place? Will our ever expanding horizon of knowledge and humanity eradicate the utterly unfair marginalisation of the unfortunate refugees? Will the precursors to the forced human movement across the globe be eliminated, so the existential migration become an antiquated phenomenon? Part of the answer is held in the history. Looking back in history, it paints the most optimistic picture on the crisis. History is a greatest leveller. In essence, it proved the Darwinian theory of survival of the fittest, whilst creating a human race superior to the previous generations. Human race, since time immemorial has fought many battles for survival and it became stronger with every conquest. Old civilizations perish away whilst the new ones flourish. The melting pot of the Syrian refugee crisis — the Middle-East, has once been the prosperous place where the entire western and Indic population originated from – Assyria, Persia, Mesopotamia, Sumer – these places have been decimated to rubbles. Past glory of Roman and Greek empire faded away over thousands of years. Now, Greece is a state asking for handouts from the IMF whilst Italy is not far behind. On the other hand, the rise of the East in the recent past was phenomenal, after a long hiatus. And during all these periods, human civilisation never stalled, and it survived. There is already a tendency for the skilled workforce to be emigrating to the East from the western world, contrary to the trend observed previously. Although this is not overwhelming, the movement is palpable. As for the refugees, who are forced to migrate influenced by other determinants, the biggest obstacle amongst their way is religion and illiteracy. And the lack of wealth. Even in the 21st century, we are divided as we have been 2000 years ago. Unless UN plays a big part in bringing all countries under one umbrella and have a holistic plan on how to tackle the problems globally, the situation will take a long time to stabilise. The UN motion in recent past to eradicate ISIL was a landmark step forward to reinstate some balance and equilibrium in the Middle-East and North Africa, the source of the biggest refugee crisis. The answer lies with us, the rest of the world. If we play a role of mere spectators, this will take decades if not centuries to stabilise and elevate the living standards of millions of refugees. Those who survived the perilous passage to a safe abode, their life has just began after passing through the numerous barbed wire fences we call borders, overcoming the threats of sea, deserts and mountains. Their new life perhaps consists of a suitcase full of clothes and a heart full of hope — hope to make a new beginning. Human migration is a tour de force, an unavoidable phenomenon. This is how the world is shaped to the world we live in — a connected entity from pockets of civilisations sprouting at different corners of earth since prehistoric times. Migration has taught us to be resilient against all adversities — natural or human. It taught us to be adaptive, to innovate and evolve. We pushed our boundaries with every voyage made, every new land found, every civilisations formed. Remembering a documentary about the Sentinelese people, bolstered the fact that if the first humans did not migrate, we would still be living in Stone Age— being hunter gatherers. Not blinkered by countries or religions – these tales of eternal explorative nature of the human race makes us proud of our lineage. Although the persecutions suffered by the refugees are inhuman, their stories are not short of a modern day version of the fairy tales, exemplifying their grit and sacrifice, their courage under fire. As much as their sufferings make us angry, and helpless, their tales rekindle our hope on humanity. It reinforced a belief that the humans will progress, eradicating all evils. Like Huns or Nazis, ISIL will be history, intolerance will be history, boundaries will be history, as will our language and religion — following the path of human development. We will not witness any more lifeless Aylan Kurdi’s floating ashore. This fills us with hope for a better tomorrow, for we are the perpetual nomads. We can stand together for the refugees, as we are the migrants ourselves. Ignoring this would be tantamount to abnegating our human existence. Post Script: If one ever wonders how they could support refugees in their locality or remotely, the options are limitless. Perhaps the short list below would provide some ideas how they can be helped and showed solidarity and compassion. • They need essential supplies – food, clothes, sanitation. Send money or buy items they require. • Preferably use charities or non-profit organisations for sending money, and GiftAid it to make the contributions bigger. • Send used clothes through charities. • If possible, do volunteering work in shelters. • Donate books for children, and toys. • Share the spare room to house a refugee until they are offered asylum. • Sign petitions for the governments to act on them and spread awareness on social media. • The last but not the least, if you cannot do any of the above, at least show solidarity towards the refugees as fellow human beings. They might not be aware of cultures and custom of your country yet, and with the trauma of being uprooted, it takes a long time to acclimatise. Be courteous to them at social surroundings when you come across the refugees, and be patient. A smile can make a massive difference on how welcome they feel to your society. On the eve of the UK general elections 2015, I hoped a much awaited Labour led coalition government after five years’ dismal rule by the Conservatives. Eight hours later, that hope was shattered by a Tory majority. All the myths, predictions, analyses were proved wrong, including a number of hypotheses I had drawn in the past on British politics and its future. 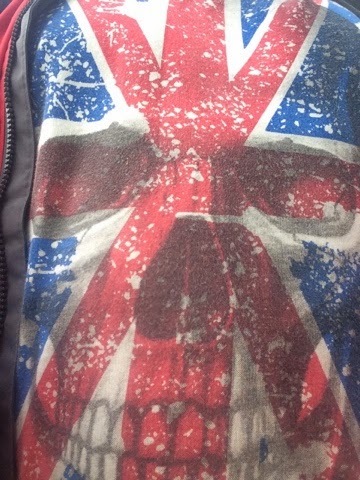 Being a dress down day at work, I wore a t-shirt with a bold statement, which showed the flag of the UK with a skull at the background. In my opinion, nothing better summarised the outcomes of the general election than that t-shirt, the coming five years will be tarnished with disaster, despair, poverty, death. This is an attempt to analyse the build-up to the election and its aftermath with a historical and social context. Although the Conservative agenda always circles around championing the individual excellence, which is the cornerstone of the capitalist world-view, in practice, this meant further inequality in an already fragmented Britain. In 2010, the coalition came in power due to the follies of Blair government in Iraq war, as well as widespread mass hysteria regarding migrant workers from EEA taking over jobs from British working class. During 2010 elections, the Conservatives and Liberal Democrats also blamed the previous Labour government of excessive spending, resulting to an increased national debt, as well as of a slow recovery from the recession of 2008. Also, the fiscal policy adopted by the then labour government to recover from the recession was in direct contrast with the capitalist ethos of monetary corrections, and it was apparent to common British voters that Labour spent a lot of money, and in the way, lost its credibility to run the country to the road of recovery. It was only after the election was won that the devious and untrue nature of the Tory campaign, backed by the Rupert Murdoch funded British media were becoming clear. The economic recovery in the entire western world has been sluggish, and Britain was no exception. The recuperation of the German economy was cited many times during the election campaigns, but the recovery came through the fiscal reforms, by making people spend their way out of the recession, not by introducing cuts. Labour tried the same method as well, but was only let down by the British public due to risk-averseness and not taking the incentives offered by the government. Also, the national debt that was proved to be another downfall for Labour, it was proved that the national debt inherited by Labour government at the end of John Major government was already high, but the media represented the figures as though the debt was incurred only during the Labour regime. Although the Lib-Dems were part of the government, and they attempted to implement a number of policies they have pledged for prior to the 2010 election, it was clear from the outset that the Conservatives will start the austerity and cuts to social services straight away. It was evident when within a year in the government, the highest earners’ income tax was lowered to 45% from 50% that previous Labour government introduced. If this was not a clear indication of which sector of the population the government is protecting, nothing ever would. Not only benefiting the higher earners — be it through tax reductions or offering tax havens to non-domiciles, it did not stop there. The working class has been squeezed through reduction of the child relief thresholds or proposing to increase the working age. NHS saw further privatisation whilst the practices were to be controlled by a trust, redundancies for nurses and stretching the already stressed system to its breaking point. During previous Labour regime, a maximum time limit was set for the consultants to offer treatment to their patients within three months from the first appointment. Under the Tory rule, these time limits were disbanded, hence achieving a saving in the running cost, but at the expense of patients’ health and recovery. Then came the damned bedroom tax rule. Admittedly benefits were there, but no exceptions were allowed, hence leaving people with disability needing carers paying for the extra rooms or move to a house where there would be no room for carers to stay. In educational sector, struggling schools were bullied into becoming Academies, managing their own budget or be threatened to stop all funding. Between 2010 and 2015, the employment sector has improved, but this was more attributable to the recovery of the global economy rather than positive contribution from the government. Thus time will be remembered for the much maligned Back to work scheme where people without work have been encouraged to go and work for employers without any form of payment, hence, effectively working for free. The ultimate evidence of Tory connivance and their cronies and the extent of corruption in media, governance and juridical system during the Conservative regime was brought into daylight in the News of the world controversy. Andy Coulson, who worked closely with David Cameron was the prime suspect of the phone hacking scandal and was jailed, but News of the World being a Tory mouthpiece, the involvement of the phone hacking during the previous general election was exposed. The same goes for the acquittal of Rebekah Brooks, who was a close friend of David Cameron as well. News of the world went out of publication, but the full extent of Tory involvement in the phone hacking is yet to be known. From these and numerous other similar examples, a general observation was evident; the Tory regime had paved the path for big businesses and staunch Tory benefactors to increase their wealth, whilst punishing the rest of the 99% of the population. The number of food banks opened have been quadrupled, poor people got poorer, heading towards a precipice. The only unambiguously praiseworthy action taken by the previous Conservative government was legalisation of gay marriage amidst scathing criticism from Tory backbenchers through insistence from David Cameron. With the financial interest of the 1% top earners ring-fenced, the Tories have then managed, not only to distract the downtrodden 99% from their woes, but they did it so discretely that it left the nation divided into many fragments. On one side, there was the vilification of the poor working class, often referred as “feckless”, and on the other side they have created a red herring in the form of EEA migrant workers and the concept of all minimum wage roles going to the foreign workers. This second ploy led to thriving a number of right wing nationalist parties, mainly UKIP. In 2014, Britain was swept by a spate of nationalism, first, during the Scottish referendum, and then later in the celebration of the centenary of the First World War. Scottish referendum not only affected Scotland, the dichotomy also resulted in strong nationalist sentiments at the south side of Hadrian’s wall as well. The Scots were divided in opinion almost equally between Yes and No for an independent Scotland, and finally managed to stay within the UK by a whisker, as the uncertainty of being outside the aegis of UK and EU outweighed the hopes to break free of the shackles from the controls of Westminster. However, this instigated a strong feeling of Scottish nationalism as a large number of people, who voted No only did so to think of their immediate financial situation, despite the urge of breaking were felt strongly. On the other hand, the big brother England felt a different sense of nationalism, the English nationalism, whereby the public saw Scotland as an appendage to the English state, a partisan and not contributing to the government by an equal proportion. The view of the intelligentsia may have weighed up or down the benefits of gaining independence from the situation, the public opinion hovered around seceding from the Scottish union, and “let then grovel back to us for funds in six months”. This was a situation reasonably reaped by the nationalist right wing parties and the popularity soared for then and UKIP became a major threat in realising Labour’s aspiration of forming a government. Although the UKIP policies would have sent the nation teetering back, the white working class that saw Labour as their saviour from Tory atrocities so far, saw a change of heart as UKIP offered them more tangible benefits — no foreigners taking jobs, cheap beer, no EU. The Lib-dems were almost out of the fray the day they joined the coalition government as the long standing supporters felt compromised from their anti-Conservative position. Hence, it was only down to the Labour to oust the coalition led government, unlike in 2010, when Lib-dems proved to be a potent adversary to the incumbent. Labour’s ascent since the failure in 2010 was not smooth, within months from the election, the leadership vote became a fierce encounter between Miliband brothers, Ed Balls, Andy Burnham and others. Then a Labour member, I voted Ed over David expecting his trade union background would prove more belligerence in character than the suave Blairite David. On Ed’s election saw the Miliband brotherhood broken, and it took a long time for Ed to gain credibility amongst Labour’s most loyal supporters, let alone winning over the Conservative voters. Personally, with my left wing visions, I saw Labour gradually becoming a quasi-Tory entity, especially during London mayoral elections — the policy offerings were not different enough to sway the voters, and I gradually became disillusioned during the mid-term of the Tory government. Then came 2013, as Ed Miliband delivered his most fiery speech since the ascension to leadership, and the Labour proposed the most ground-breaking proposals — the bring back taxing the highest earners at higher rate, increase inheritance tax, or the free rein of energy companies and create a new bank from British Investments — offering the most radical changes to the British economy and governance. A clear lurch towards left, and the everybody was anxious — the capitalist market, the investors, Tory British media, and the government. Some argue that that’s what the Conservatives always wanted, a left wing Labour so they can oppose it with the old communist line of attack. Ed Miliband was immediately branded Red Ed, and it was not a contest between Conservatives versus Labour any more; all other stakeholders to be affected from the Labour government weighed in. Labour’s popularity soared as they won council elections by a large margin, but the English nationalism element in the British psyche saw a number of votes poached by the UKIP. People were swayed, but the stigma of immigration and Eastern European workers still haunted Labour, as did their propensity to support minorities, with the horrid details of Lee Rigby’s murder or the recent rise of ISIS still alive in people’s memories, they didn’t trust Islam, nor Labour as the mouthpiece for minorities and equality. With UK fragmented from various counts, it was absolutely important to launch an election campaign that offers some dividends to all such segments, for a re-unified country and government. Treading on eggshells, Labour had to offer a proposal alluring all segment of voters, and what interest one faction would drive another away from them, keeping a knife-edge balance on its election campaign. The election campaign started with the usual hype in the media and the Middle-class and the casual indifference from the working class. 2015 was going to be the year of the women, with Nicola Sturgeon of SNP, Nicola Bennett of Green Party and Leanne Wood of Plaid Cymru took the centre stage. There was only one clear winner emerging from the first debate, and it was Nicola Sturgeon. With a clear Scotland-centric agenda and a number of policies veered away from the safe grounds of central left or central right, SNP already offered something for the Scottish people that would have been a part of Labour’s agenda. This should have raised alarms on Labour policy makers, as it wood have, when Nick Clegg stole the show during 2010 debates; and last minute alterations were needed to offer equally bold policies to steer the Scottish nationalist votes back towards Labour. Instead, seeing the election results of the previous year, Labour leadership trod on the side of caution and published a manifesto that, without the Labour logo, is hard to guess which party they were from due to its lack of USP. All the hard work over two years, all the hopes it kindled in the minds of the followers were all undone in a moment of hesitation and panic. The legitimacy of the Labour election campaign was hard to make credit due to the leadership issues, but the poor manifesto possibly alienated the voters willing to change their view. Labour’s stand on immigration, austerity, debt, spends on defence especially trident, sustainability, employment and social security failed to convince the British working class that they can offer a star government capable of resolving all the hardships the families face by the Tory regime. In issues like environment, SNP in Scotland and Green Party across UK took much more firm position than Labour and it perhaps disillusioned the environmentalist lobby, which makes a large proportion when the election results will show that Green emerges as the fourth largest party in the UK. Similarly in governance, SNP proposed reforms that was expected fro Labour, and even they were identical in areas, a Labour vote meant devolving power to Westminster whilst an SNP vote would see the poets and policies staying at Holyrood and being implemented in Scotland. In fact if it were not for the female trio, ration debate would have been a lacklustre event as none of the other parties manages to set themselves apart, excluding the conflagrating opinions by Nigel Farage. From that respect, David Cameron has been the most consistent and credible contender, backed by the continuous vilification of Ed Miliband in the Tory biased media and the Conservative election campaign, arguably funded by the wealthy Tory donors, with a possible return of favours following the election triumph. The Conservatives have even featured themselves as working people’s party, but the basis for such incredulous claims were not established, as was the fact with no details on funding cuts but showing additional investments based on these funding cuts. At 10 PM on the election day, the exit poll figures on BBC were surprising, and with the benefit of hindsight, analysts with political astuteness should have guessed such an outcome if the trends were followed in recent months and their reason were not clouded by feelings. The exit poll results were pretty devastating for all parties except Tories but people kept their heads high. By the following morning, it was all over, the Conservatives even improved the exit poll predictions, even though not by large amount, but significant enough to provide absolute majority to form a government without coalition. Geographical division of seats were even more interesting and thought provoking. Whilst in 2010, all Scotland was painted red, Labour lost almost all the seats in Scotland. Wales was still a Labour majority but looking at England, the picture was catastrophic. Barring some spots of red in North of England, and London and Birmingham, Labour was obliterated everywhere. The reds have lost their appeal to Scottish people as they did to English population. Lib-dems were decimated, the much hype about UKIP was proven to be non-existent, but a trend was clear — the sweep of nationalism on both sides of the Scottish Border. The SNP emerged as strongest party to lead and defend Scottish interest whereas for England, fear and greed has swung the election in the favour of Conservatives. In my opinion, there are no better weapons for winning the election than hunger and fear. With the number is homeless destitute persons on the rise, and all the austerity measures in place, it was a simple deduction that the people would want to see the tides change, they want this desperate time to be over. But there were two factors that prevented the full effect of hunger factor to be reflected in the results. Due to Lib-dem interjections, the Tory austerity measures were not as severe as if would have been had they won the absolute majority in 2010. Also, the average voters hovering around 70% mark, perhaps the worst affected part of the population was not interested in taking part of the election when the food for the next day has to be thought of — change in government wouldn’t change that fact overnight. And then there was the fear factor. Evolution of mythology is a proof that we want to know what we are afraid of; and this gave rise to millions of various depiction of monsters, ghosts, demons. In this election, a fear was instilled in the voters’ psyche, a fear without a shape or form, presented with the back up of data. From the fateful day in 2013 at Labour Party conference, the capitalist biased media has been trying to infuse fear in the minds of English population — be it direct demonising on the tabloids or subtle connotations in The Telegraph — media made it a private vendetta against Labour and its leadership. They feared. They feared of a liberal centre-left government would spell doom for the Conservatives, give voice to the Tory backbenchers already questioning the leadership of Cameron, a regrouped Conservative party will have long roads of reform. Amongst the people feared were the big businesses and Tory donors, whose tax evasion and preferential treatment would have come to a halt as well. The media turned this fear into a fear that the working class could relate to, hence the reasons were changed to immigration, jobs, economic reform, whereby keeping the facts clouded under vague predictions did help Tories turning the public against Labour’s ethos. Britain’s ageing population also meant that there is a huge Conservative royalist support base, who would see the large changes as a threat to the state, an anarchy in the development. Looking at election result, this fear of unknown and unseen regime that is purported to stop all businesses working, open doors to all EU workers, harbour radical Islamists under the name of ethical treatment, let EU interfere in all interim governance matters — threats of a communist state, has driven the voters especially in England, where people chose to opt for the incumbent. Looking at the possible results with a proportional representation system makes the situation grimmer with UKIP winning 82 seats based on its number of votes polled. This is a failure of the mainstream political parties when popularity of right wing parties like UKIP soars up, which is a real threat to unbalance the British society, its rich multiculturalism and liberal values. Too much was and will be said about Labour policy ignoring English voters as well as the middle class, but if Conservative approach to tackle challenges faced by the middle class is more acceptable by the society than Labour’s, this must be a major concern on society’s view on politics, ethics and governance. It’s not that Labour failed to rise up to the expectations of the British public, it was rather the public became risk-averse on the prospect of a radical reform to the political system, which is essential to avoid the society heading towards a state of static inertia. At the beginning I mentioned that the results proved some of my views on the electorate wrong. I assumed that since 2010, a trend was created that all future governments will be coalition and no party will be able to meet demands of every different combination of factions. The results showed I was wrong. However, the Conservatives seem to take no risk in terms of targeting its agenda biased towards its biggest support base — English middle class. And this is where Labour failed, as they put more focus on UK as a collective identity than to be populist. This is where my second hypothesis went wrong. I expected the British electorate to be progressive, embracing the new values and changes, but it turned out that the public were anything but that entity. This is a protectionist, risk-averse, myopic state that people would rather want to be a part of. On the other side, Labour’s failure and rise of SNP in Scotland was shocking but imminent, the leadership must have felt the change in the tide. Referendum on Scotland left the Scots divided on opinion but unified them under the same Scottish flag, realise the potential of a political party fighting for the priorities for Scotland and its people. A very regional approach, contrary to a one UK concept, but limiting the target audience helped SNP secure the record number of seats, leaving all other mainstream parties almost obliterated in Scotland. As an immediate aftermath of dismal performance by all major parties but Conservatives, there was a public outrage amongst party backbenchers to remove the leadership. First to step down was Nick Clegg, who, with the decision to join coalition in 2010 had already done a political hara-kiri to the reputation and trust for Liberal Democrats, yet managed five years of reflected glory being in the shadows of David Cameron. Ed Miliband followed suite during the midday when he took the full responsibility for Labour’s calamitous results. It was a gracious speech, delivered in his typical automaton fashion, eyes hardly lifting off his notes. But his eyes said it all — looking beyond the vacant stare, there stood ask struggling to control his emotions, perhaps hundreds of questions were going through his mind but without any answers. And finally, in a very dramatical manner Nigel Farage cast his resignation as promised, but gave a hint that until August when he might even be re-elected because without him, UKIP had no identity. With all three leaders of main opposition parties resigned, UK is a dangerous situation, as nothing is stopping Tories spearheading with their harsh cuts and other measures of austerity before even the oppositions have regrouped and chosen their leaders. It’s not only the leadership that pushed the parties on the back foot, but also the party stalwarts, who would have led the opposition during parliament question hours, have fallen as well in their bid to win a seat at the House of Commons. A first Tory majority government in 18 years, brings bitter memories from Thatcher era. The government is hardly going to be working people’s party as it preached to be, and the austerities will be brought about straight away. This will be an advantage being incumbent, as Cameron once claimed business as usual from first day. The Conservatives have also got Boris Johnson elected as an MP from a safe seat; doldrums in the other parties will give Boris to settle down fast and pave his way to possibly become the next Tory party leader after 2020. The 2010-15 reign might not be classed as the worst the Conservatives could be, that period has definitely paved the way for a more stricter, hardline Tory rule, breaking up the British society into further class divisions. This will also give them time to achieve an agreement with Bruxelles on the issue of EU referendum. The situation on the other side of the fence is getting worse. Labour leadership elections have always been fraught with fierce rivalry amongst candidates, exposing the internal fissures in the party. The MPs already declaring their willingness to stand up for the leadership position is similar to, as someone aptly put, taking jewellery off the dying relatives. The ex leaders have been too prompt to criticise Miliband as leader, but failed to acknowledge the fact that Labour lost the election due to their Thatcherist compromises in the party command. Adding further woes, Allan Sugar resigned from Labour membership. I am not personally as much concerned with this at one level, because in the end he is a businessman, trying to make a profit, which Labour policy curbed. His defection however is crucial for the party as the election is now won outside the leaders’ debate and speech, or the candidates knocking on the doors of the voters, it is a battleground for business houses, media, and to fight fire with fire Labour do need funding, and they have lost a valuable donor. I still hope they don’t grovel back to him once the new leader is elected, trying to compromise policies for funding. However, all in not bleak and gloomy in this crucial juncture of British politics. Green Party has evolved substantially and nearly annexed Lib-dems in proportional representation analyses, showing a growing trend for the future general voters to choose more radical liberal and social reforms orientated parties. This is also a period with highest number of female MPs. And the most unifying news in the end, BNP which has been in the surge during last general election is obliterated from the arena of British politics, proving a point that people don’t tolerate the right wing politics, and the fate of UKIP will follow the same trend, it’s just a matter of when. The next five years of Tory rule will be earmarked for its atrocities on the lowest strata of the population. The food banks will be on overdrive, more people will be homeless, further cuts will drive struggling families to fall apart or into desperation, cuts will continue to happen in all public services — stretching them further to the breaking point. The NHS, although promised to be ring fenced, will see longer working hours in the name of providing better service, yet without any extra resource. Zero hour contracts will be the only way one can secure s job, thus making it impossible to have a stable income when companies can exploit the system. The Labour will still have another bloody leadership battle, and the leader will either face the challenge of going back to neo-Labour coined by Tony Blair or continue the work Ed Miliband has started. A politically pragmatic move would be a more centrist Labour to win trust fro working class across UK, before going into more radical socialist reform, although that long-term goal should be set from the day the leader is elected, so the party works towards the same goal as they have in 2015, but with more caution keeping in mind that British population is still not mature enough to embrace the reforms Labour was proposing to bring about. This brings to the conclusion, a look on the future of British politics. More crucial questions to be raised, that parties like Greens and SNP already started to ask, such as the future if the trident programme — why is this still being funded, which goes back to the question of fear again. A nuclear Armageddon is an American ploy used since cold-war era which they need as the biggest arms dealer in the world. Questions need to be raised on the relevance of House of Lords, with their pompous red ornate seats, and the hereditary peerage. Also the relevance of the Royal family and the monarchy. Free the Queen, rest of them will probably still live their life as celebrities, but what relevance is there of their role on British politics than just the term constitutional monarchy? What does the royal goodwill tours achieve that the businesses and politicians can’t? It is reassuring to find that the Buckingham Palace has to run on its own budget, nevertheless this is a huge outlay when the government is trying to claw back every penny being wasted, what is more important 500 NHS nurses/policemen/public service operatives or a bunch of people leading a lavish lifestyle on public money without any contribution to the economy. We are too quick to use terms like feckless scroungers on poor people, but the family supposedly at the helm of this “constitutional monarchy” (sounds as mouthy and vain as balderdash and hobgoblin) are no different either. There is so a public outcry for stopping foreign aid and immigration. Contrary to popular belief, foreign aid merely constitutes a minimal percentage of the nation spending, and a country with a long and dark history of colonialism should rather start by looking at the past before blaming all developing/ undeveloped nations for the misery of the Britons. Apart from all these contentious questions, a close look is needed on the electoral system as well, firstly to encourage and as the next stage penalise people for not voting. The role of media in making the nation is also questionable. At present, there are the tabloids, crude and distasteful cheap tack, yet the working class have not rejected this type of populist reporting. On the other hand, the broadsheet newspapers retained their snobbish reporting only targeted at the business leaders, academicians, bureaucrats and similar higher echelons on the social strata. The extreme bias between the Labour and Tory orientated newspapers are nauseating, where one news would be reported in completely different tones. Media will have to be liberal, arguably it is the fourth estate, but rather than snide and vitriolic attacks on anyone with a different perspective, the space for constructive criticism needs to be created, and media’s role during the election should be of a unbiased adjudicator, challenging ideas of all political parties and praising for changes for a better future. Also, the election mechanism starting from using electronic voting machines to dissolution of first past the post system — a lot needs changing and this will be a pithy challenge on any party running the government. Liberal parties will have to find the solution and convince the British public that the changes are essential to live in a synergistic compassionate world of tomorrow — expecting this from Tories would only result in frustration and desperation as they are only interested in culling foxes and the poorest of the poor into extinction.